This product can be used in networks with high security requirements. It complies with Russian legislative requirements and is certified by the FSB and by the Federal Service for Technological and Export Control (FSTEC). 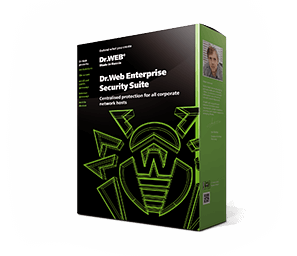 Preventive protection — will shield against the latest active threats, targeted attacks and attempts by Trojans and exploits to penetrate a system via zero-day and other vulnerabilities. 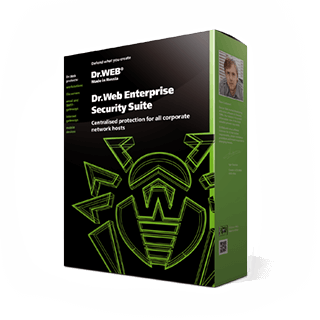 With the Anti-virus network component, you can remotely control Dr.Web anti-viruses installed on computers connected to one local network. Examines URLs in real time regardless of how current a computer’s virus definitions are. Blocks access to removable media: flash-drives and any other USB device, including webcams, cameras and portable media players — protects against Trojans. * Only available for Windows Server 2008 or later.